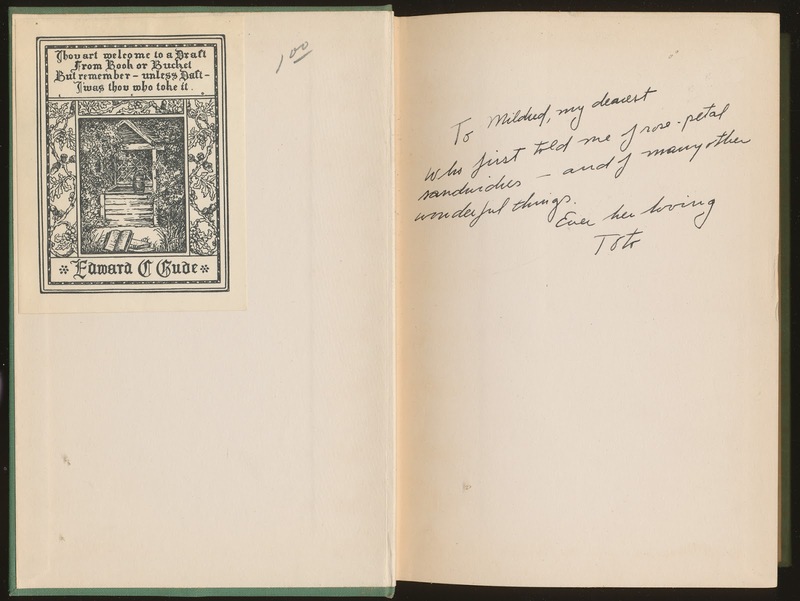 Haven't had an inscription or a bookplate here in a while, consider this two for one. Who just told me of rose petal sandwiches - and of many other wonderful things. *Who first told me of rose petal sandwiches. I see a dotted "i"